The stories of the La Jolla Girard Street house are infamous, the true life “Animal House,” that put together true life outrageous parties. 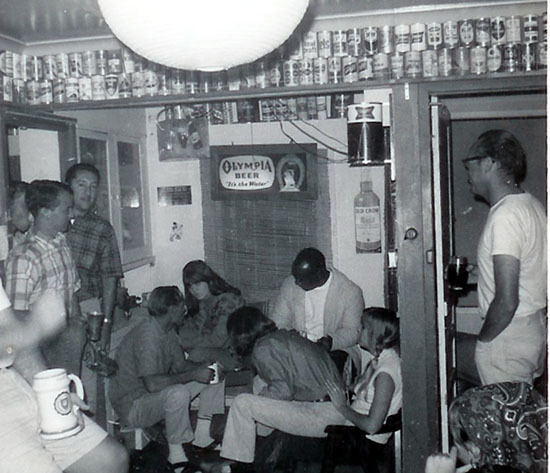 No doubt the Girard house was the social clubhouse of Mac Meda and the decor clearly showed it was an icon and salute to drinking. 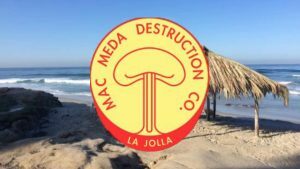 The place was plastered with beer signs, beer cans, and whatever found its way after a drinking binge in La Jolla, like street signs, fire hydrants, and potted plants whose lifespan was a week or so. Plants have a hard time living on alcohol only. Jack always had a passion for taking in rejects or the unwanted so to say. The doors were open for everyone, not just a place for drinking. There were many that were down and out, or just got out of jail and needed a place to say, or just had no place to go. Jack openly showed his hospitality and always offered them a roof over their heads. 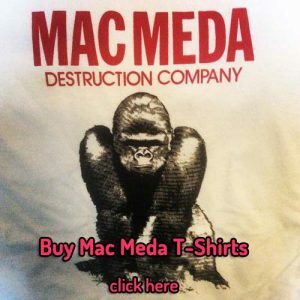 And of course anyone that could power down a pitcher and smash their head in a wall, still stand, and had this strange fascination for a gorilla, named Albert, had to be a cool person and that is how Jack and Bob Rakestraw became roommates. Probably the best remembrance of the house was when Jack decorated Rakestraw’s room as if was a jail cell, so he would feel more at home, complete with bars on the door. 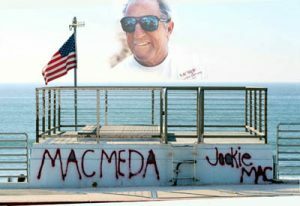 And when someone took a picture of Bob peering out with a live grenade, it pretty much sums of Rakestraw’s lifestyle, Jack’s sense of humor, drinking, and Mac Meda … from there both rose to legendary proportions. Early 1950s. La Jolla. 354 Vista de la Playa. Verva Macpherson is at home. She hears ‘clunk’…the mailbox has been opened and closed. Odd, because the family had a PO Box, which meant the street box wasn’t used. She went outside to check it out. She saw a small dark man, walking away. He had a ‘haircap’ as she later told her son, Jackie. It was Hawaiian surfer Ronald Patterson…who was living at Billy Graham’s mother house and attending La Jolla High School. He had been delivering Christmas cards by hand…no stamp…just walking his new town, leaving Christmas cards to his new friends stateside…Merry Christmas! Uppper left is Phi; Brown. I lived in the same complex, Art Lupino and family lived there, Mike Dormer’s mom also was in the complex Nate Parish and Earl Gildea live on the corner Of Genter and Girard in a small house (medical bldg there now). We all called the area “The Jungle” and it was. Car fights across from LJ Elementary, way too much drinking and partying, but a real blast. Jack’s wall was stacked high with all the used beer cans. We saw the police alot. Those were the days! Sometimes life is strange. This is one of those times. In 1983, I was a sort of a normal, yuppie type of girl. I was invited to a July 4th party in my hometown, Whittier. Hosted by Katie Sarchet, who was one of Whittier’s blonde actresses (Love Boat’s Lauren Tewes, Airplane’s Lorna Patterson and Katie…Smile and Sweatergirls…all hailed from Whittier). I had recently been admitted for graduate work in nutrition at UCLA and just wanted to take a year off. Katie was also switching gears and was starting at CSPP, San Diego, to become a psychologist. At the table, I was introduced to a quiet guy – Chris Miller. Chris Miller was just a quiet, regular guy, who you’d think was from Fresno or Bakersfield or some other desert kind of place. Well, hold onto your Mac Meda hats…Chris Miller wrote Animal House (with Doug Kinney and Harold Ramis)! That’s right – Animal House with John Belushi, Tim Matheson and Karen Allen. The guys who coined the terms ‘toga’, ‘road trip’, ‘double secret probation’, ‘that boy is a P-I-G pig’, ‘no, after I graduate I plan on getting drunk every night’, ‘I hate those guys’, and ‘Don’t you have any respect for yourself?’. That Chris Miller. It was about their college days at Dartmouth, in New Hampshire. 6 months later, I am in La Jolla. I have decided to take a year off. I am in the La Jolla Post Office at the time clock at 6AM. This guy asks me if I’m new. I say I am. I’ve moved down from Oakland…carried mail in Berkeley. And then this guy says he had just returned from his annual Tahoe skiing trip. And he always stayed with friends on Harbord Drive in Oakland. Harbord Drive? I knew where Harbord Drive was. It was in Piedmont. Where all the mansions were. Rich people lived on Harbord Drive. What kind of mailman stays with people on Harbord Drive? Well…it was none other than Jack Macpherson. Founder of Animal House West. Best friend of Rakestraw, the Jewel’s very own Bluto. The guy who delivered mail in a Porsche. The coolest mailman in America.